Nothing sets off a fresh cut lawn off like straight edges. But finding the best one is a monumental task. Lawn edgers vary wildly in price, brand and quality. Some lawn edgers have a number of features, while some are vary basic. The truth be told, the best ones available are usually somewhere in the middle price wise. 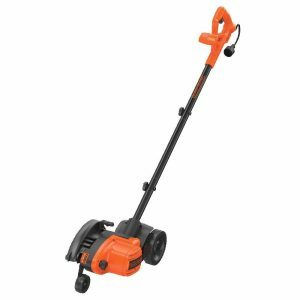 This 2-speed trimmer is considered top of the line in its class. It has a 2.5Ah lithium-powered battery and that holds a pretty long charge. The trimmer easily converts to an edger. Other features include power drive transmission, automatic feed spool, and a premium soft grip that adds comfort while you cut. 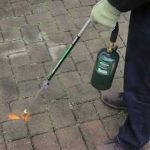 While this edger works well, it isn’t at powerful as the gas models. This well-built machine is equipped with a 4-cycle premium engine that requires zero gas or mixing. 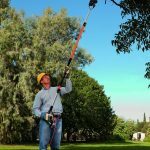 Sturdy, lightweight and ideal for edging average-size yards. Unlike some mowers, this edger turns on with one hard pull. The ergonomic handle makes operation and storage easy. With six adjustable positions, you will always find the perfect height. The cons: Not suitable for large yards as it tends to give out if overworked. One of the most popular machines in its class. Well worth the price because it does such an excellent job. 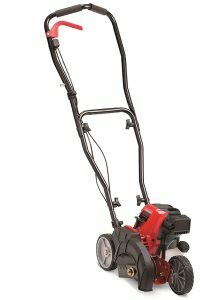 The LE750 has a 12-Amp high-torque motor that will leave your law looking neat and clean. 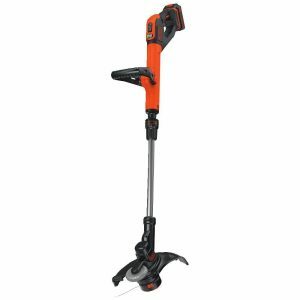 Other features include a three-position, adjustable blade, 4,700 RMP of power, lightweight and flexible. The LE750 can also be used by either hand. The trenching option makes maneuvering around garden beds, curbs and borders a snap. Since the motor has occasional problems, it’s a good idea to invest in a 2-year warranty. The 12-Amp motor is reliable and dependable. Maybe not as robust as other edgers but does a more than adequate job. The electric model is considered a better option because it promotes a clean environment. The spring-assisted wheel promotes the ability to maneuver and edge at different depths. Users don’t have to worry about accidental unplugs because of the built in cord lock. The only points you can take away from this machine is that height adjustment is sometimes difficult. 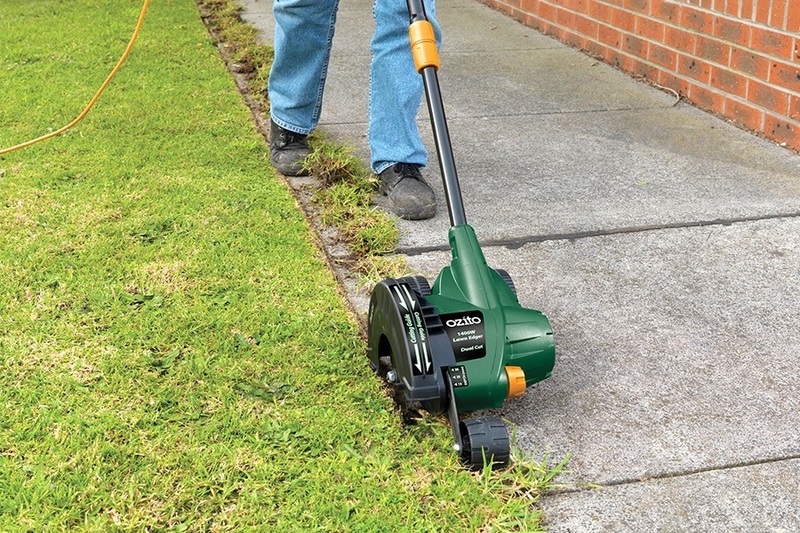 For a medium-sized gas trimmer, this one can’t be beat. The edger’s 75cc engine is powerful and delivers a good amount of torque. The edger’s 3 blades have five adjustment depths. The days of struggling with rough spots is a thing of the past. Curb-hopping allows the edger to cut through tough edges. Other good features include easy assembly, quiet motor and 2-inche cutting depth. This edger is a bit on the heavy side. It also requires some assembly. 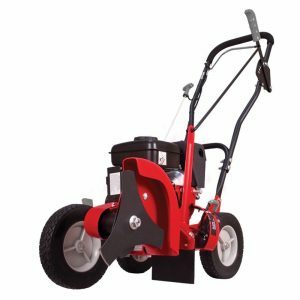 So if you are in the market for a edger, you may consider the ones on this list. There are also many other high-quality edgers to choose from. Be sure to check out the pros and cons, price, quality and customer reviews. Customers can often provide the best and most honest advice on a product.